Some FHA mortgage applicants will pay lower mortgage insurance premiums going forward. Others will pay more. The new premiums apply to all FHA mortgages, both purchase and refinance. 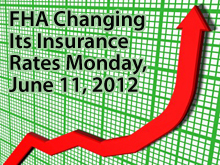 The MIP update will be the 5th time in four years that the FHA has changed its mortgage insurance premium schedule. FHA-backed homeowners who have not refinanced within the last 3 years will benefit from the new MIP. This is because, beginning with all FHA Case Numbers assigned on, or after, June 11, 2012, homeowners whose current FHA mortgage pre-dates June 1, 2009 will be entitled to dramatically reduced annual mortgage insurance premiums and almost zero upfront MIP via the FHA Streamline Refinance program. Whereas new FHA applicants may pay up to 1.25% per year for annual mortgage insurance plus 175 basis points at closing for upfront MIP, the “grandfathered” FHA applicants will pay just 0.55% per year for mortgage insurance and 1 basis point at closing. New FHA applicant : $208 per month for annual MIP; $3,500 due at closing for upfront MIP. Pre-June 2009 FHA applicant : $92 per month for annual MIP; $20 due at closing for upfront MIP. The premiums apply to all FHA mortgage applicants, regardless of loan product or term. For example, 15-year FHA mortgage will follow the same mortgage insurance premium schedule as a 30-year FHA mortgages. Another class of FHA-backed homeowners won’t get so lucky. For homeowners in high-cost areas whose mortgages are between $625,500 and the local FHA loan limit, annual mortgage insurance premiums will be raised by 0.25% for all 15-year and 30-year loan terms. FHA-backed homeowners with loan terms of 15 years or fewer, and with loan-to-values below 78%, are exempt from annual MIP. Upfront MIP payments, however, remain mandatory. The FHA continues to tinker with its mortgage insurance premiums, attempting to strike a balance between affordability for its homeowners and solvency for its program. Experts expect the FHA to change its premiums again. And, when it does, it’s likely that premiums will rise. If your FHA mortgage will be for more than $625,000, and you plan to make a purchase or refinance application soon, it’s best to get your FHA Case Number prior to Monday, June 11. Otherwise, you’ll pay higher annual MIP. Against a $700,000 mortgage, the extra 0.25% in MIP per year will add $1,750 to your annual housing payment. When you preview homes as a home buyer, you can get a good feel for the home’s visible traits — its finishes, its room counts, and its landscaping, for example. What you can’t get a feel for, though, is the home’s “bones”. It’s for this reason that real estate professionals recommend that you have a property formally inspected immediately after going into contract for it. 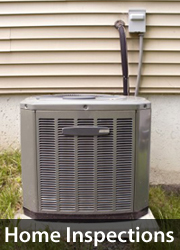 A home inspection is a thorough, top-to-bottom check-up of a property’s structure and systems. It is not the same as a home appraisal, which is a valuation of the property. By contrast, home inspections are an objective report on a home’s physical condition. In addition, a home inspector will review a home’s roofing system; its doors, windows and garages; plus, any attic spaces and basements, where appropriate. A home inspection may also uncover out-of-code electrical work that municipalities required to be fixed by law. Meanwhile, it’s not just home buyers who can order inspections. Sellers can order them, too. One recommended tactic is for a home seller to have the home inspected prior to listing for sale so that all required repairs can be made in advance of showing the home. This can speed up and simplify the sales process, and may help your home sell at a higher price. Buyers often prefer homes in “move-in” ready condition. A thorough home inspection can take up to 6 hours to complete, depending on the size of the home. For the second straight year, the jobs market looks to be slowing into the summer. Last Friday, in its monthly Non-Farm Payrolls report for May 2012, the Bureau of Labor Statistics reported 69,000 net new jobs created, plus a one-tick rise in the national Unemployment Rate to 8.2%. 2012 is shaping up like 2011, it appears. Last year, between May and August, the jobs market was decidedly worse as compared to the rest of the year, adding just 80,000 jobs on average per month as compared to 190,000 new jobs created on average during each of the other 8 months. This year, a similar slowdown may be in store. Although the May jobs report marks the 20th consecutive month during which the U.S. economy added new jobs, the reported figure fell well short of analyst expectations, which called for 150,000 net new jobs last month. In addition, it was found that the previously-reported tallies for new jobs created in March and April were overstated by a total of forty-seven thousand jobs. This lowered the overall net new jobs created last month to 22,000. Mortgage rates are falling on the news. Since the jobs report’s release, 30-year fixed rate mortgage rates have dropped below Freddie Mac’s reported 3.75% mortgage rate for borrowers willing to pay 0.7 discount points plus closing costs; and, the 15-year fixed rate mortgage has dropped farther below 3.00%. The weaker-than-expected data has moved Wall Street investors away from stock markets in favor of the relative safety of bond markets, a market which includes the one for mortgage-backed bonds. When mortgage-backed bonds are in demand like this, it helps to push down mortgage rates nationwide. That’s exactly what we’re seeing. Mortgage rates are expected to make new lows this week, in part, because of U.S. employment weakness. Should this year’s jobs market rebound like in 2011, though, look for mortgage rates to climb back shortly.